A prolific writer, one of Wallace's publishers claimed that a quarter of all books then read in England were written by him. As well as journalism, Wallace wrote screen plays, poetry, historical non-fiction, 18 stage plays, 957 short stories and over 170 novels, 12 in 1929 alone. More than 160 films have been made of Wallace's work. He is remembered for the creation of King Kong, as a writer of 'the colonial imagination', for the J. G. Reeder detective stories, and the Green Archer. He sold over 50 million copies of his combined works in various editions and The Economist describes him as "one of the most prolific thriller writers of [the 20th] century", although few of his books are still in print in the UK. Edgar Wallace is currently considered a "single author." If one or more works are by a distinct, homonymous authors, go ahead and split the author. 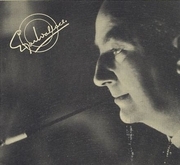 Edgar Wallace is composed of 8 names. You can examine and separate out names.